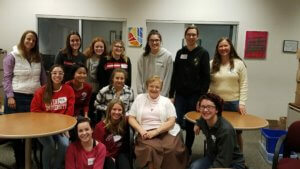 “We Are All Wonders” was the theme of this year’s senior girls’ retreat, held at Queen of the Family Retreat Center November 5-6. The retreat began with games, followed by dinner and the movie Wonder. 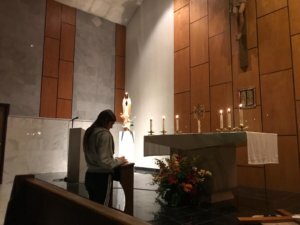 Later during Eucharistic adoration, formation instructor Rose Wieber led the girls in a reflection about the way God sees them and the gifts they can offer the world.